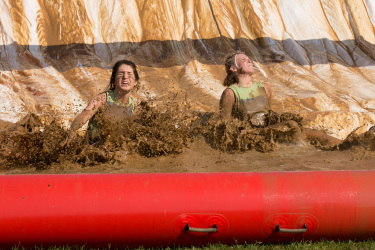 Maccaferri Inc. sponsored team of Eileen and Cinde had a blast at the 2015 Muddy Mamas Mud Run. The event took place near the US headquarters and was designed to bring awareness to issues facing girls/women today: physical health and fitness including getting kid’s active, building self-esteem, and promoting overall well-being. The obstacle course is one mud bog after another for almost a 5k distance. It was a day filled with excitement, laughter, camaraderie and of course… lots of mud.